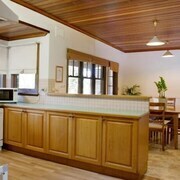 Tastefully recently renovated farmhouse with well equipped kitchen and plenty of room. Bonus was the large rumpus with full sized pool table. Siuated in a paddock so very quiet with wide sweeping views. Excellent base for exploring Maleny and Montville. Great family run property Great cabins and restaurant ran by a beautiful husband and wife, friendly and helpful staff and beautiful spa tub overlooking a little creek! Tired of KPIs, ROIs and hearing Brian from accounting bang on about his weekend plans? 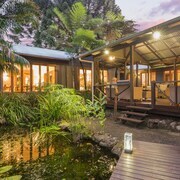 Ditch work for some R&R in Maleny — and don't even think about roughing it for a second. 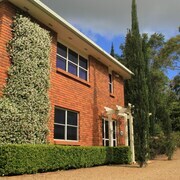 lastminute.com.au has 11 incredible hotels within 5 kilometres of the centre that'll keep your budget under control (and you far away from Brian). Ready to paint the town red? Save yourself the late-night taxi fares and snag a room at centrally located hotels such as the Spicers Tamarind Retreat and Bendles Cottages and Country Villas. Listen out for the birds singing and the bees buzzing as you wander around Maleny Botanic Gardens. The best news is you can set up camp just around the corner! 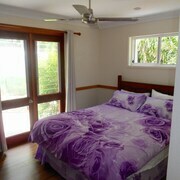 The Maleny Hotel and Pomodoras on Obi are two awesome places to stay nearby. 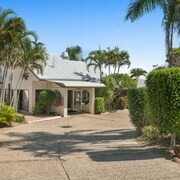 You might also like to try the Oceans Mooloolaba or the Narrows Escape Rainforest Retreat. 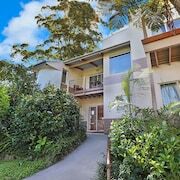 The Oceans Mooloolaba is 30 kilometres away from the centre of Maleny, and the Narrows Escape Rainforest Retreat is 8 kilometres away. Others are the Spicers Clovelly Estate, 9 kilometres away, and the Alexandra on the Pacific, 30 kilometres away. It's well known that Aussies are pretty relaxed, so consider kicking back a little longer and checking out the Flame Hill Vineyard and Kondalilla National Park in Flaxton, 12 kilometres to the north of Maleny. 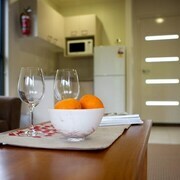 Flaxton hotels are the Eden Lodge and At Sunrise Cottages. Or, you could consider staying in Palmwoods, 13 kilometres to the northeast of Maleny, where you can pick from the Sunshine Coast Motor Lodge and Red Bridge Motor Inn. The Tanawha Valley Golf & Tennis and Big Pineapple are just some of the most popular points of interest to experience in Palmwoods. You'll come across some awesome visitor attractions in Caloundra. Shelly Beach, Moffat Beach and Kings Beach are up there with the best. This regional centre is positioned 30 kilometres east of Maleny and has a population of 39,000. Got another day or so to spare? See what's happening at the Dickey Beach and Caloundra Street Fair. 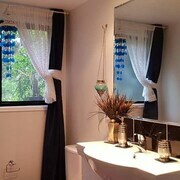 There's an awesome selection of hotels and accommodations in Caloundra, with the Aspect Caloundra and Rumba Beach Resort topping the list. Admit it! You're panicking, right? You've booked your flight but no accommodation? Why not suss out the Novotel Brisbane Airport? It's super handy to Brisbane Airport, which is just 75 kilometres from the centre of Maleny.